Mexican cuisine is so many things: It’s bold and flavorful, but comforting at the same time. It also lends itself to all kinds of dining experiences, from casual food trucks to upscale, sit-down restaurants. Then there are places in the middle, that elevate “street food” staples to levels that haven’t been seen before. Once such place in DC is located on 14th Street Northwest, and it’s called Mezcalero. This is not your average Mexican restaurant. No, with dishes called antojitos (Spanish for “little cravings”) inspired by the country’s “roadside kitchens,” Mezcalero sets itself apart from the rest. Check out the Oysters al Carbon, which are made with chipotle butter sauce and parmesan cheese, and is served with baguette-style bolillo bread. 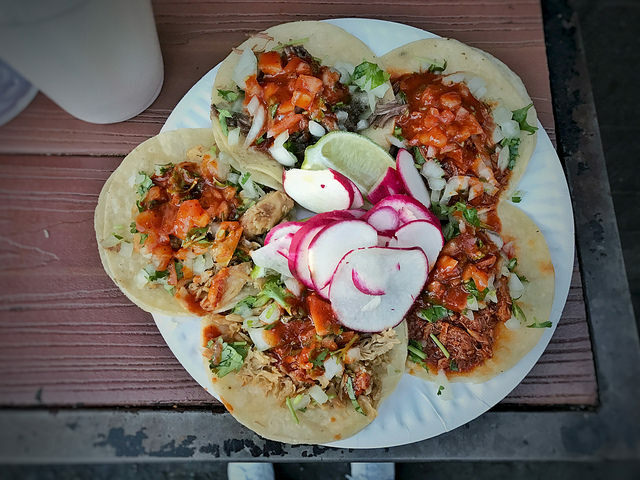 Don’t miss the street tacos, either; with 17 varieties coming in your choice of corn or flour tortillas, there’s more than enough here to satisfy all of your Mexican-inclined cravings.